Angola | Jr. NBA Angola League presented by Helmarc | Coming soon! Cameroon | The Yaounde Jr. NBA League in partnership with the Federation Cameroonaise De Basket Ball (FECA Basket) | Coming soon! Kenya | The Nairobi Jr. NBA League in partnership with Ford | Coming soon! Nigeria | The Jr. NBA Power Forward program in partnership with EXXON Mobile | Coming soon! Mozambique | The Maputo Jr. NBA League in partnership with the Clarisse Machanguana Foundation (Girls-only league) | Coming soon! Rwanda | Jr. NBA Rwanda League in partnership with federation Rwandaise De Basketball (FERWABA) | Coming soon! Senegal | Jr. NBA Senegal League | Coming soon! 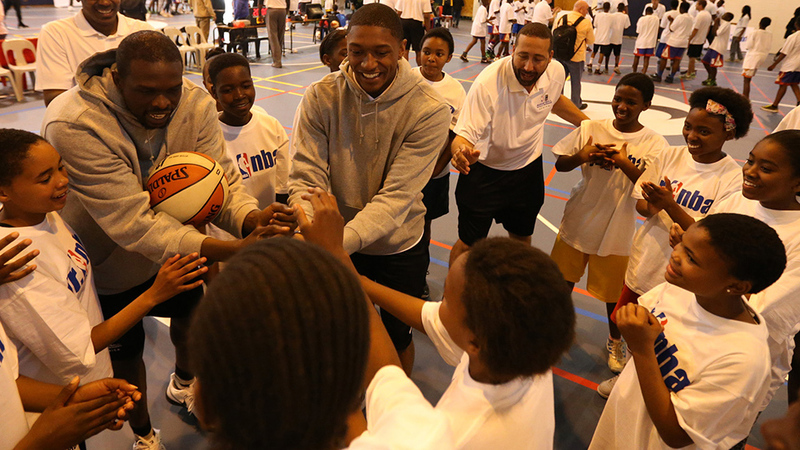 South Africa | Jr. NBA Johannesburg League in partnership with Ford | Coming soon! Denmark | Jr. NBA Bornebasket League | Coming soon! France | Jr. NBA Rhône & Lyon Metropole League | Coming soon! Hungary | Jr. NBA Hungary League | Coming soon! Portugal | Jr. NBA Portugal League | Coming soon! Scotland | Jr. NBA Scotland League | Coming soon! Turkey | Jr. NBA TBF League | Coming soon! Bahrain | Jr. NBA Al Manama League | Coming soon! Israel | Jr. NBA Maccabi League | Coming soon!